Fitting a composite door and frame is easy when you choose Endurance composite doors. Our installers are experts in the industry and have a large amount of experience when it comes to the perfect fit. Your composite door and frame is fitted in a swift and efficient manner so that you can enjoy the end result in no time. Find your installer today. When your Endurance installer has expertly installed and fitted your composite door and frame, you will be provided with a document that will outlay instructions on how to maintain the longevity of the door going forward. This Endurance door installation and care instructions document will guide you on the upkeep and general maintenance required to keep your door at optimum condition year after year. The way in which an Endurance composite door and frame is fitted will impact on the performance of the product. If it is fitted by an expert installer, you will benefit from a long list of features and advantages including increased thermal efficiency, lower energy bills, a layer of protection for your home and advanced security. If a composite door and frame is not fitted correctly, it will leave your home vulnerable with reduced security, draughts, leaks, damage and more. Our composite door and frame profiles are created using premium quality materials to result in an unrivalled product that can’t be found anywhere else. With a 48mm thick solid timber door slab that is made up of 17 engineered timber laminates, our doors are 10% thicker than other composite doors available on the market. You can choose from a large range of composite door styles with our three exceptional collections. The Country Collection, Classic Collection and Urban Collection. Each of these features an extensive choice of designs for you to choose from, that can suit any property type. Whether you own a modern property with minimalist décor or something more traditional with rustic appeal, our composite doors can make the perfect finish. There are a number of checks our Endurance installers undertake when fitting your new composite door and frame. This begins with the removal of your existing door and making sure that the replacement Endurance door is the correct size before beginning work. The checks are carried out to ensure you’re getting exactly what you ordered in terms of door style, glass, furniture and colour. Our expert installers will check handing and opening of the door to make sure that it works as it should. All of our composite doors are put through rigorous assessment once they are created so that you have complete peace of mind that they are up to the standard we expect. All of our installers will make sure that they carry out checks too prior to installing to make sure there are absolutely no errors in your order and that the installation can go ahead smoothly. When fitting the frame of your composite door, our installers will make sure that the frame is square and plumb. They will measure the distance across diagonally to ensure squareness. Without these necessary checks, the installation will not be satisfactory and will result in the door not opening correctly or causing damage to the door leaf whilst it is being used. We always expect the very highest standards and our installers endeavour to carry out the ultimate supply and fit service every time. Your chosen Endurance installer will drill holes through the frame using a technical diagram to create the fixing positions. They will check the diameter of screw fixings to ensure the door frame is securely fixed into place. 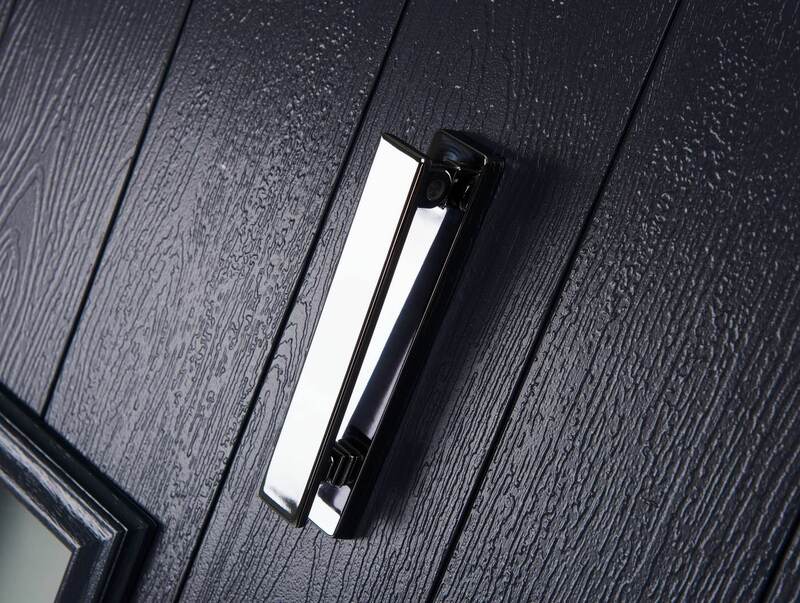 Once installed they will ensure that the air gap on the lock side is no greater than 5mm so that you can benefit from the increased and robust security that our composite door range provides. Once the composite door and frame are fitted your installer will close the door into the frame. This is where they will adjust the hinges to make sure the door opens and closes perfectly. The screws at the top and bottom of each hinge are tightened to prevent the need for them to be adjusted to screwed back into place after heavy or frequent use. Your composite door and frame features drainage holes to steer water away and avoiding a build-up of moisture. Your Endurance installer will complete the installation of your composite door and frame in good time and will leave your property in a clean and neat fashion. Our installers have a wealth of experience and knowledge of the home improvement industry and are able to install our composite doors to the highest of standards to guarantee your satisfaction. When you choose Endurance composite doors you are guaranteed a durable and robust solution that will stand the test of time as well as add a stunning aesthetic to your home. Find your nearest Endurance installer today.